لتسريع الانترنت مع الكراك حيث ان العديد من البرامج من هذه النوعيه تكون وهميه ولا تعمل بالشكل المطلوب حيث انه اليوم يمكنك مع برنامج Internet Cyclone التحميل والتصفح بسرعه كبيره اكثر من يعمل على تنظيم اعدادات المودم على الويندوز للتوافق مع اتصالك والاستفاده من الانترنت الذى لديك باكبر درجه فقط انت تقوم بإختيار نوع الويندوز الذى انت عليه وبعدها نوع اتصالك سواء DSl أو wirless وبعدها تقوم بعده خطوات وسوف يتم تسريع الانترنت فى الحال بدلا من عناء بطىء الانترنت لديك . Internet Cyclone is a very useful and complex connection optimization utility that comes with many features. It is compatible with all modems and high-speed LAN, ISDN, CABLE, DSL, T1 or other connections. 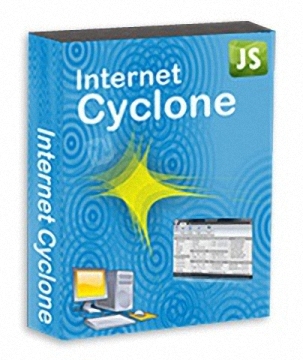 Internet Cyclone is a powerful, easy-to-use, Internet Optimizer designed to automatically optimize your Windows settings which will boost your Internet connection up to 200%. 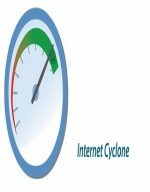 Using this application, you can improve your browsing and downloading speed and enhance the online gaming experience.
. Internet Cyclone optimizes your Windows settings automatically or you can customize them.
. You can speed internet connection without changing your Hardware.
. Works with All Browsers.
. 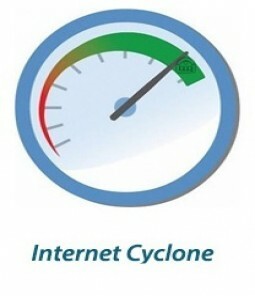 It is compatible with all Dial-Up modems and high speed LAN, CABLE, DSL, DSL (PPPoE), T1 or other connections.
. Internet Cyclone will speed up web surfing, online gaming, e-mailing, chat and video conference and it will even speed up downloads.